Although Kyle Turris makes no guarantee he'll be able to produce another outstanding four-point performance in the Stanley Cup Playoffs, the Ottawa forward is certainly showing he can deliver for the Senators. With a playoff berth on the line and two of the team's top players not in the lineup, Turris and his teammates were hardly fazed when they travelled to New York to take on the Islanders for a critical contest. The end result was an a authoritative 5-1 Ottawa victory, a win that secured a spot in the Eastern Conference post-season, highlighted by a four-point (two goals and two assists) game by Turris. 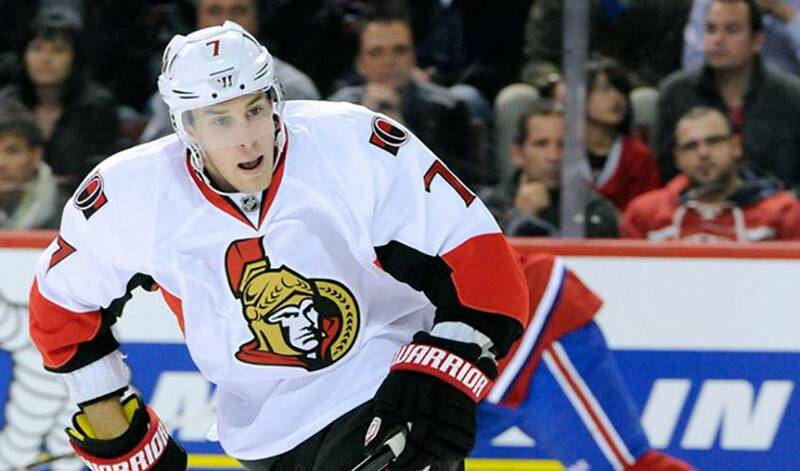 Turris and the Senators will now square-off against the New York Rangers, the No. 1 seed in the East. “Well, I can't say for sure that I'll be able to do that again in the playoffs, but I wouldn't mind if that helped us win,” laughed Turris, in an interview with NHLPA.com. If it seems as though Turris, who was traded from the Phoenix Coyotes to the Ottawa Senators for David Rundblad and a second-round pick in the 2012 NHL Entry Draft on December 11, is a happy man these days, you'd certainly be right. “It's just great, really,” said the third overall selection of the Coyotes in the 2007 NHL Entry Draft, who scored his first NHL goal on October 12, 2008, a rebound tally in a 4-2 win versus the Anaheim Ducks. Turris, who notched an assist in his first game with Ottawa, a 4-1 victory over the Buffalo Sabres on December 20, is equally effusive about how the Senators, a pre-season longshot to make the playoffs, have banded together to net a shot at winning the Stanley Cup. Turris, who played one season of U.S. collegiate hockey with the Wisconsin Badgers in 2007-08, praises several teammates for their leadership and on-ice skills. With just four games of NHL playoff experience to date, Turris, who hails from New Westminster, British Columbia, is eagerly anticipating his first post-season as a member of the Senators. He's hoping the good times don't end any time soon.